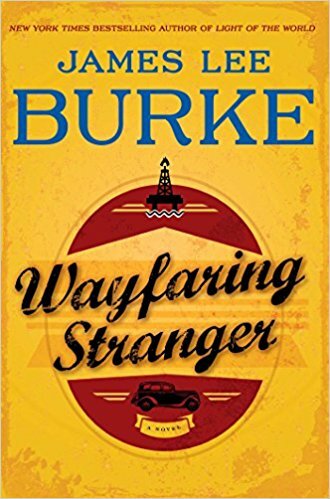 WAYFARING STRANGER takes the reader through generations and include a run in with the famous outlaws Bonnie and Clyde; escape from certain death in the Battle of the Bulge; a rescue from a German extermination camp and a young couple attempting to seek their fortune against evil forces that lurk in peacetime America. 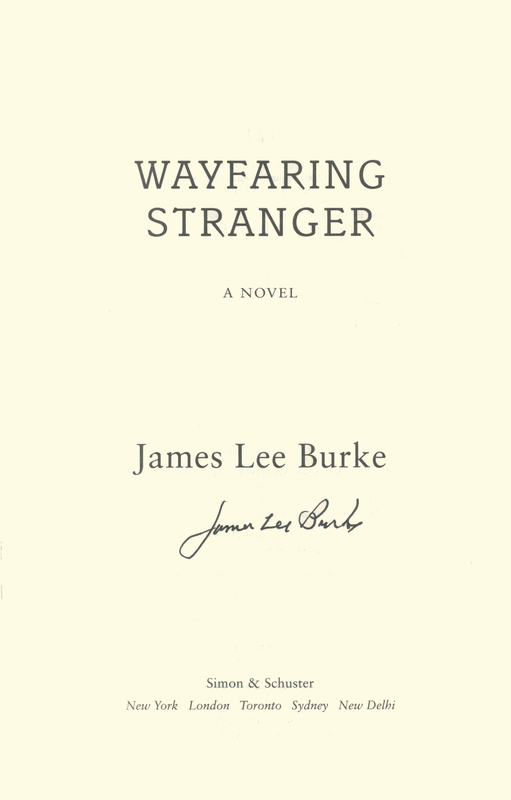 THIS COPY (shown below) was signed by James Lee Burke on the title page at his home. It is a new, unread first edition opened only for signing. Published in July, 2014 by Simon & Schuster. 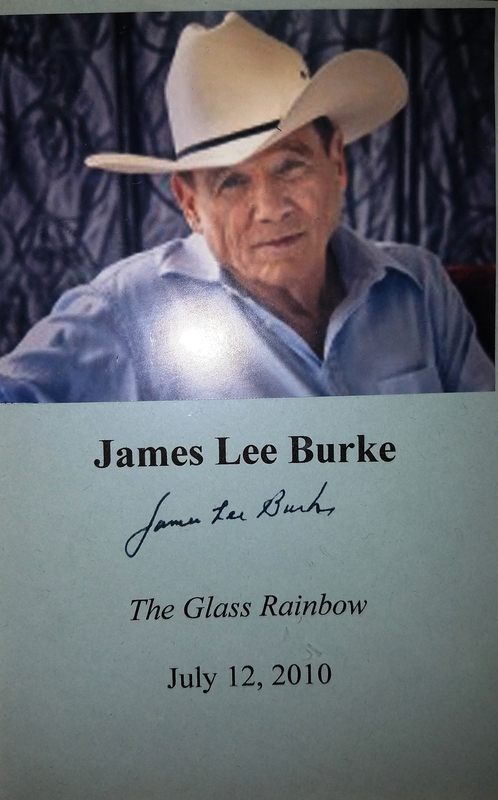 JAMES LEE BURKE (pictured below from our Wall of Fame) has written more than thirty books and received a mountain of awards. 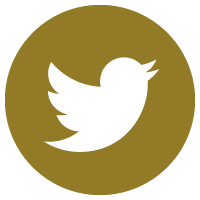 He has been named a Grandmaster by the Mystery Writers of America, and considered by many as a grandmaster in any genre. The Denver Post calls him "America's Best Novelist." 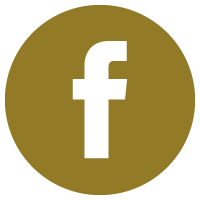 Several of his titles have been adapted for the movies. Thank you James lee Burke for signing our copies.